Be Part of Jumpstart’s 25th Anniversary Celebration! To celebrate Jumpstart’s 25th Anniversary, we are making a video to showcase at our Scribbles to Novels fundraising galas this spring, and to share across social media. And we want YOU to be a part of it! We are asking current Jumpstart members and alumni to film themselves answering the below questions and then send us the footage to be included in our video celebration of Jumpstart! 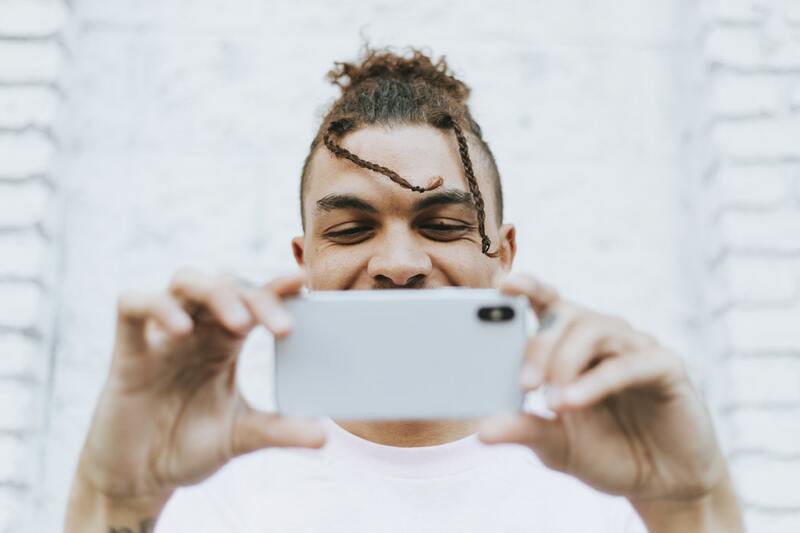 You can use your smartphone or iPad or computer to shoot the video – no fancy equipment or technical skills needed! Videos must be submitted by Friday, February 15, 2019. Please email the videos (or for larger file sizes, you can share the videos via Dropbox) to drew.esposito@jstart.org. Below are the questions that we would like you to answer on camera. Feel free to respond to all of them, or just select the ones that resonate the most with you. For some helpful tips about how to best film yourself, click here. The most important tips are to be sure to film horizontally (turn your phone on its side), and film in a quiet place with minimum background noise so that we can hear you clearly. Why is learning reading /literacy skills in early childhood so important? Do you have memories of positive reading experiences that have influenced who you have become today? What would your life be like today if you had not developed strong reading / literacy skills? Why is reading important to you now? Can you talk about the impact you’ve seen Jumpstart make on the community? Can you tell us about a specific experience in a Jumpstart classroom that inspired you? What about our mission / vision inspires you? How has Jumpstart impacted your life? What inspired you to get involved with (or for founders: to start) Jumpstart at the beginning? What is one word you would use to describe Jumpstart’s impact over the past 25 years? What do you hope Jumpstart can accomplish in the next 25 years? Why do you think Jumpstart’s mission is of such importance today and in the future? What is at stake? BONUS: Wish Jumpstart a “Happy Birthday” on camera. Submit your video by Friday, February 15, 2019. Please email the videos (or for larger file sizes, you can share the videos via Dropbox) to drew.esposito@jstart.org. These talking points are meant only as refreshers for Jumpstart’s messaging and vision, and to talk about why literacy and reading specifically are such a key part of early education and later success. Please feel free to talk about what resonates with you more personally, or to use any of the ideas below for inspiration. Reading with young children is central to what we do at Jumpstart. In addition to focusing on literacy, language, and social-emotional skills, Jumpstart builds positive reading experiences that instill curiosity and a love for learning that will benefit children for years to come. 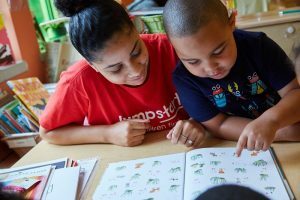 Jumpstart members form tight bonds with the children they serve, providing individualized attention, mentorship, and sometimes just someone fun to read with. Books also serve an important role at Jumpstart where they are the backbone of our curriculum: we view books as both windows to new outlooks and experiences for children, and as mirrors in which children can see themselves reflected. Jumpstart’s vision is to use these positive adult-child learning experiences and the key skill-building to help EVERY child enter kindergarten prepared to succeed. Jumpstart is fueled by the core belief that providing these high-quality early education opportunities to young children contributes to breaking the cycle of poverty.